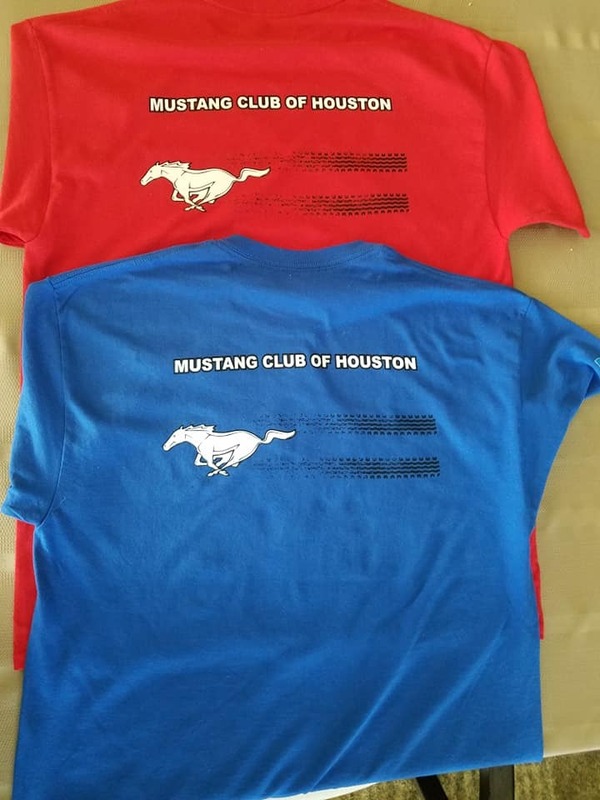 Join Mustang Club of Houston - Fill out application and mail it with your $25 check to the Club Address shown, or bring it to Monthly Membership Meeting. 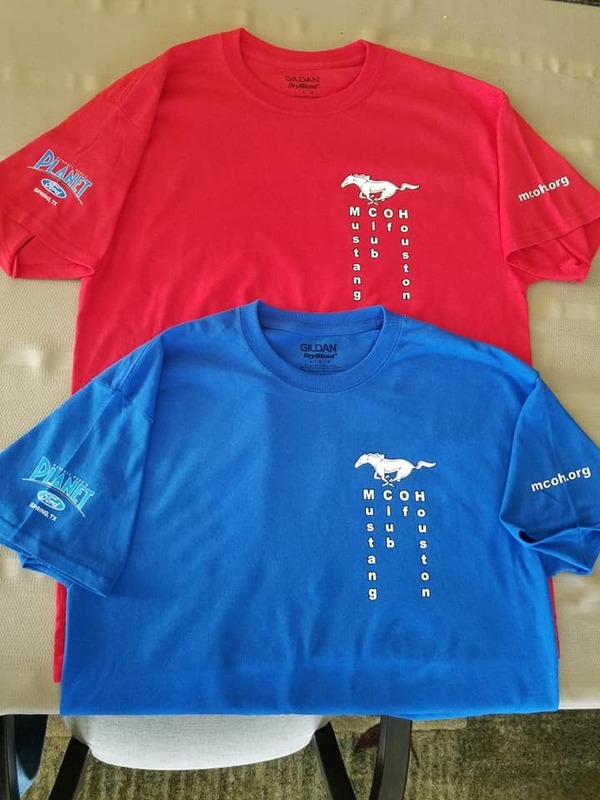 New members get one of the Club T-shirts free. They can be picked up at any Monthly Membership Meeting or Car Show Event. Check with VP Dennis Osting.